Does your DISH receiver (DVR 625, 722, 612, 512, Hopper models) keep turning on and off? Does it constantly crash and reboot itself for no apparent reason? Some days it works, some days not? Is it overheating? Perhaps you were told by DISH customer service that you need a technician to take a look at it – at your cost. Or did they have you return your receiver and ship you a “new” one that does the same exact thing? Perhaps you have gone through multiple receivers by now with the same result. Even worse, you lose all your recordings in your DVR and your timers everytime this happens. Since using the large fan was too noisy, we tried a USB fan. It has been running non-stop, 24-7, for 11 months now and we haven’t had a problem with the DVR since, even on hot days with no AC on in the house. It simply plugs into the USB port on the back of the DVR for power, easy peasy! The internal fan on our DISH DVR 625 receiver was apparently not working like it should. But there was no rhyme or reason to when it did work. Sometimes the fan would work for a week, then never again for 2 weeks. Then maybe every other day. It may be your outlet. Are you using a power bar or extension cord? No. Try another outlet. Didn’t work. Try rebooting. Nope. No joy. Deactivate the “Inactivity Standby” setting. “That is definitely the solution,” one tech told us. Nada. Does it have enough airflow? Yes, plenty. It’s now sitting on a milk crate with plenty of aeration from top to bottom, side to side. Didn’t work. I asked them if it could be overheating because the internal fan doesn’t work anymore. No, they didn’t think that was the problem. But I thought it was. So I stuck a fan next to it the next time it crashed and it has never crashed and rebooted since. But this is ridiculous that I have to run a fan to make DISH’s equipment work. But they won’t give us a different model box or upgrade us. All those “new” receivers they were sending us were in fact just used, refurbished units that had the same faulty problem – the fan doesn’t work when the unit heats up. We went through 5 receivers before finally we gave up. I’m guessing every technician knows about the faulty fans and units, but they can’t admit that because DISH is not having new ones made and are not fixing the old receivers, so they have no solution. The only way we can get a new receiver model is if we get a HD TV. Yes, I know – We are still one of the few Americans who don’t have HD. But there’s nothing wrong with our TV, so we’re not getting a new one just to get another DISH receiver that may or may not work. Besides that, Comcast has finally now installed cable in our neighborhood. And yes, we will probably be switching from one evil to another, but at least we don’t have to run a fan to watch TV. Oh, and another way DISH screwed us was their bogus “Switch your phone and internet to us and save $10 off your monthly bill” promise. The rep told us that absolutely we would save money off our monthly bill. After we switched, our bill now is more than $10 higher than what we had originally. We called and they said, “Oh, well the price didn’t include taxes and fees.” Do you think we are that stupid? We asked them that very question and they said it was included. But now it’s our word against theirs. We escalated it to the highest manager level and he said there was nothing he could do. So be warned. Tape your conversations or get it in writing any promise DISH makes to you about pricing. We will never use DISH again because of this. I wrote this post to hopefully save some of you from extreme frustration and your valuable time. For hours, I read through numerous DISH forum threads with lots of people having the same problem with not only our 625 receiver model, but others DISH Network Receivers as well (DISH DVR 722, 612, 512, Hopper) and no one knew what to do, just a lot of guesses. I can’t tell you how many hours we spent with customer support, on the forums, chat help, email help without any promise of nearing a solution. 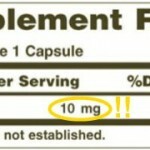 Hopefully this will fix your problem. Godspeed. 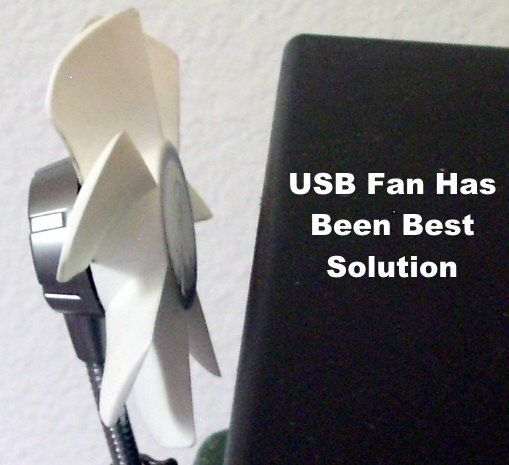 If you don’t want to use a regular fan like we did because it takes up too much space and looks pretty darn ugly (we originally did this when we first wrote this post – you can see photo below, but then switched to a USB fan), then you can try a USB fan if your receiver has an input for one. Even as old as ours receiver is, we have a USB port so I’m guessing most models do. I haven’t tried a USB fan, but I plugged a USB powered light into the back of our DISH receiver to check it and it powered it just fine. I know others have used USB fans on their DISH receivers with no problems. Another plus is the USB fans are much quieter than a regular desk fan. Edit: As you have seen from the second photo in this post, we have since switched to using a USB fan that has worked perfectly for us and is super-quiet. The DVR hasn’t once shut off or rebooted since using it. We are using the ARCTIC Breeze Fan, but the Thermaltake and AC Infinity Fans mentioned below are also good buys as well. I read in one forum where someone used the Thermaltake USB Fan II to keep their DVR receiver cool and it worked really well. He said he ran it 24-7 and it never failed. 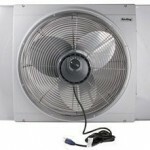 The AC Infinity Fan is another option to cool multiple types of electronics – AV receivers, Xbox, routers, computers, modems, etc.. I recently bought the Infinity to keep my laptop from overheating. I like it comes with a plug adapter you can use in any standard outlet in addition to the usb connection. (This is the setup we tried first before getting the USB fan.) After trying numerous receivers & other solutions with DISH support ultimately offering no other help, this stupid fan blowing on the receiver is what finally worked. The DVR hasn’t failed since. Yeah, it’s an ugly and noisy setup, so that’s why we switched to using the USB fan. 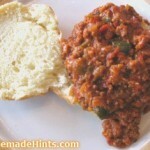 Homemade Sloppy Joes - You Don't Need No Stinkin' Man Can! 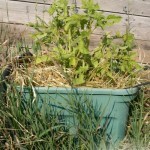 How To Grow Potatoes By Container Gardening - Don't Throw Those Sprouted Taters Out! After 5 years, my dish receiver would repeatedly reboot and go through the “acquire satellite” routine. Dish sent me a replacement receiver, at my expense, but it did the same thing. In total I spent about 5 hours trying different solutions from either Dish or others. It has been very warm in my house this summer and I thought heat might be the problem. I noted that the receiver would get to about 110 F when it would start acting up. So I propped the Dish receiver up on blocks and pointed a large fan at it. The fan would keep the receiver at about 90 F and it worked fine for 2 hours. I turned the fan off and the receiver crashed within 5 minutes. I’m surprised this was an issue after 5 years, and that it affected the replacement receiver also. David – Sounds exactly what we went through. Our receiver worked fine for years and then started having the reboot/overheating problem. Assume it’s either a thermostat or internal fan or even software update issue. The replacement receivers all have the same problems because they are not new – mostly likely the same receivers everyone sends back to DISH when they start overheating. DISH tech told us they weren’t producing new receivers of our model type, so they just keep recycling bad ones until you decide the hassle isn’t worth it anymore and upgrade (at your expense) to the new receiver model. And of course, even if they knew it was an overheating issue, they would never tell customers to blow a fan on it because that would be admitting their equipment is defective. But since we starting using the USB fan on it nearly a year ago, we haven’t had any problems. One of the best $10 every spent. Thanks so much for your post. Although we do have a contract that they have to replace the DVR, I didn’t want to lose all my recordings and start all over again. So for $8 from Amazon this was an easy fix! Glad it helped, Sargent. And yes, we hated losing all our recordings – multiple times since we exchanged several DVRs until we figured out the fan solution. Since these older DVRs don’t have a way to download and backup the recordings to an external drive, the only way to do it is to play each one and record it on a DVD…which would take forever! I just ordered a replacement receiver box last night. I hope that crap doesn’t happen it’s for my son’s room & he needs tv to sleep like me. Ebony – Was your old receiver (the one you’re replacing) crashing, turning off and rebooting itself? You are not forceful enough with dish. Threaten small claims court, tell them to get their crap out of you house, tell them to come and pick up their receiver out on the road, tell them your not paying for a tech, don’t curse and you will get your way with them every time. The only thing you have to do is you must go to paper billing and send them a check. Get a new credit card number just tell credit company you lost it be given a new card different number and dish can’t use it anymore. After this you own them. Tell the go put me in collections don’t care. Get your way every time. I do and also get many pay channels for free all year long. Thank you for your remedy. I have been putting off calling dish even though I have maintenance a plan because I do not want to have to sign a new contract as I am sure mine has been over. I think I last renewed in 2010. But strange for situation is that I had the dvr power off with zero-no power on & the dam fan started up & continued to run until was unplug from outlet that freaked me out, but you appear 2 have better knowledge of its workings, could you say that there may be another way I had received message to operate w/o power on? Only reason asking is because I had to replace a light bulb on my ceiling fan & purchased a new fangled led bulb & the bulb box had an insert stating the bulb radiates radio waves that could cause interference with other stuff & read box then & stated was fcc approved. Now how long has it been that a light bulb had to be fcc approved & if could interfere w/dvr, tv, or other – could that other be our brains as well. One last issue & will await response is that since the overheating issue started up the picture on TV when have left dvr unplugged & time to cool sometimes looks like in sepia or negative effect like you could adjust on camera for affects. Any ideas how to fix this? There has been complaints of LED bulbs interfering with electronics and radios. This article talks about radios being switched off and digital TVs not working when LED bulbs were in use. Have you had the same problems (DVR fan starting and poor TV picture) without the LED bulb in the ceiling fan? You can follow us by signing up for our updates here. Hello. I’ve been having problems with dvr playback on my hopper. It constantly freezes/pauses and makes shows unwatchable. I was hoping to find a fix online and I read this. I bought the Arctic fan that was suggested, plugged it into the back of my hopper today, but it doesn’t seem to be helping much if at all. Can I ask how you positioned the fan? I have it bent so that it’s blowing directly at the back and slightly over the top of the unit. Am I doing something incorrectly? Deanna – Your problem sounds more like the hard drive is failing, as discussed in this thread at Dish where customers were having the same issue as you – the Hopper is freezing up during playback. Looks like they will replace your Hopper if that’s the problem. Our problem, as well as others, had to do with the DVR completely crashing, turning off and then rebooting because of overheating. Mine will stay on for about hour and half to two then shut off then reboot several times we leave it off for a couple days then try again same process. Do you think a fan would work in my situtation? Nicole – I can’t say for sure, but it sounds like the same problem we were having. Try using a fan immediately after turning the DVR back on again. Try a fan. If that works then you have figured out your problem. Then get them to send you a new one- it may have the same problem . Get them to send you a new one again- Eventually you will get one that works. A hassle but I assume you all are getting the dirt cheap pricing I am, that makes it worth it, Sort of…. I own my own dvr and will be moving to a new home where I can’t get Dish because of trees. according to the Dish technician, I can keep everything I’ve recorded. The problem is that when I plug in the DVR, it will need to acquire a signal as part of Start-Up. is there a way to bypass the “acquiring signal” stage of Start-Up ??? Which DISH DVR model do you have? Some say when it’s trying to acquire a signal, press the DVR button a couple of times and it will go to your recordings. Some say if the DVR hasn’t been connected to an account for 30 days or so, you’ll lose access to all your recordings. Is there a USB connection on your model so that you can download your DVR recordings to an external hard drive before you move? I don’t suppose the DISH technician you spoke to had any insights on how to bypass the start-up? I have the Hopper with Sling. 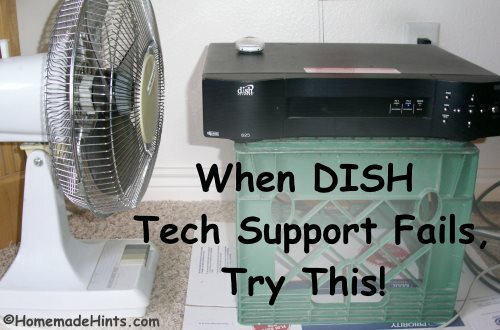 When we ended our service with DISH, we were still able to access our DVR recordings without any signal, even after rebooting, but we had an older model. We just pushed the DVR button and skipped the “acquiring signal” setup. I’m not sure how to do the same with the Hoppper with Sling. I know you can use an app to download recordings to an iPad to view later (up to 30 days without authorization), but I’m assuming that’s something you rather not do since it will take a long time to download all your recordings, plus you would only have a month to view everything before it cuts you off. I would just ask the DISH tech what your asking here. There has to be times when a unit reboots without a signal, but you can still watch recordings. The DISH Hopper forum is here or try their support page for chat, email, phone number, etc..
We replaced DISH with Roku months ago and will never go back to satellite or cable. Is anyone considering a class action suit? We have a CONTRACT with DISH Network for service which they are not providing. They will only fix this if it costs them money. Any lawyers out there wanting to take this on? What you need to do is open up the box and vacuum it. This fan idea will work temporarily, but the real cause is that the CPU cooling fan and/or heat sink inside the box is caked with dust. We did trying vacuuming the dust off first, but it still didn’t work until we ran the fan. I bought a new hopper3 and 2 joey 2. It goes through axquire signal did the software download, have the hybid lnb and a hub.